Thousands of years before Jesus we have clear commands from God to love others. It’s not like Jesus forgot about Leviticus 19:18. He knows about that Scripture. He’s not thinking, “Well, the Old Testament is all about hate so I better tell people to love because they’ve never been told to love before.” No. That’s not it at all. When Jesus came into the world He didn’t come to change the commandments of God. But He did come to fulfill the law. Typically when we think of Jesus fulfilling the Old Testament we tend to think of Bible prophecy, or we tend to think of Jesus fulfilling ceremonial law, such as Jesus’ death on the cross being a fulfillment of the Old Testament animal sacrificial system. But just as messianic prophecies find their ultimate meaning, fulfillment, and expression in the person of Christ, and just as the ceremonial law finds it’s ultimate meaning, fulfillment, and expression in the person of Christ, so it is with God’s moral law. The laws of God and the commandments of God revealed in the Old Testament find their ultimate meaning, fulfillment, and expression in the person of Jesus Christ. 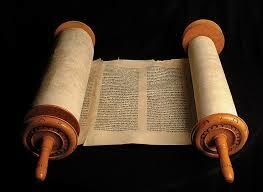 All things previously revealed in the Old Testament become clearer in light of Jesus, including God’s commandments. In the Old Testament God speaks to us by His word, but in Christ, God shows us His Word. Indeed, John chapter 1 tells us that Jesus Christ is the Word of God. God doesn’t just tell us to love God and love our neighbor, God sends Christ into the world to show us what that means and what that looks like. Jesus knows that God has already told us to love, but through Jesus we see a fuller explanation and a fuller demonstration of love in a way and to a degree that had not yet been revealed. But when Jesus comes He gives us a fuller understanding of God’s law and He gives us a fuller understanding of love. In the time of Jesus the conventional wisdom said, “Don’t do things to others that you don’t want them to do to you.” Jesus turns that conventional understanding on its head and says that’s not the essence of love. You just don’t refrain from doing to people all the bad things you don’t want done for yourself, instead you proactively step forward and you do for others the same things you’d want done for you. Jesus says that this is the essence of love and sums up the law of God. So God in the Old Testament tells us to love, and Jesus in the New gives us a clearer explanation through His teaching of what that means, and then Jesus does something amazing. He actually gives us a demonstration of what that looks like in action. And in this way Jesus’ command is a new commandment in the sense that Jesus holds up Himself and His actions towards others as the gold standard of what love looks like. So then the next logical question is, how exactly did Jesus demonstrate love? Jesus says we are to love one another by serving one another, by treating others as more important than ourselves, by setting aside our own comforts to meet the needs of others, thinking about what benefits them more than what’s good for me. Jesus shows us that love is not just being nice to someone. Rather, love is going to extreme lengths to bless and benefit someone else even at extreme personal cost. The greater the cost, the greater the love. Jesus pushes us to the limit and says if you want to love, if you want to really love, you lay down your life for your friends. That’s love. Jesus sets the standard for love…. and then He exceeds that standard! If greater love has no one than this, that someone lay down his life for his friends, how gloriously great then is the love of Christ that He lays down His life for His enemies? Scripture teaches us that no one in and of themselves is a friend of God. As Paul says in Romans 5 we were enemies of God. In Romans 3 Paul says no one seeks after God. In Genesis 6 Moses says that every inclination of man’s heart was evil continually. 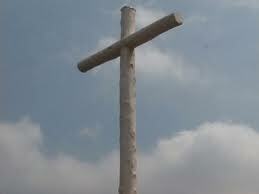 It is not for good, God-loving, righteous people that Jesus laid down His life for but for rebels and insurrectionists. Jesus died to pay the price for your wicked, self-centered, cold-hearted lovelessness. Lovelessness is the essence of our sin. A lack of love for God and a lack of love for our neighbor. And why did Jesus do this incredible thing? Because He loves you. Because if He didn’t endure the wrath of God on the cross it would mean you’d have to endure it forever in Hell. If He didn’t pay your price, you’d have to pay it. And now, because of what Jesus has done, all who call on the name of the Lord will be saved not just from the punishment of sin, but saved from being slaves of self-centered lovelessness. God’s not interested in merely rescuing you from wrath but He’s intensely interested in freeing you up to be someone you could never be apart from His salvation, namely, a person who loves others as Jesus loved you for the glory of God. Jesus is telling the disciples that their self-sacrificial, self-denying, radical, Jesus-imitating love will demonstrate to the world that they belong to Jesus. Their love for one another is to point people to Jesus and exalt Him. Jesus is saying that when the world sees the church loving one another, serving one another, treating one another as more important than themselves, laying down their lives for one another, it will be a testimony and a witness to a watching world that Jesus Christ has been sent from heaven to earth by God Himself. It will not point to the church as much as it will point to, exalt, lift up, and glorify God. So Jesus, in His love for us, dies to free us up to love one another, so that the world may see and know that Jesus was sent into the world by God so that they too may receive Christ and enter into that love. The work that God does in our hearts is not just for our benefit but for the benefit of an unbelieving world. 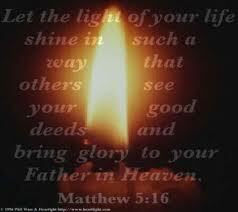 There are those that will come to repentance and faith in Christ and will glorify God through the witness of the church’s behavior and Jesus is telling us in John 13 and 17 that particularly they will come to recognize Jesus through our love. 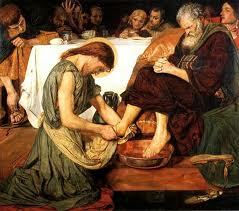 And one outward expression of the loving unity we as Christians share is by taking communion together. We’ll never do communion that way. We will always gather together and do it as a community of faith. 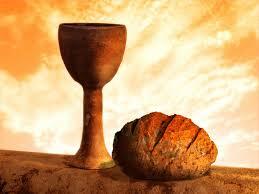 In taking the communion elements…the bread and the cup at the same time, we are saying something significant. We are announcing that we are all one. We all have the same Lord, we have all been saved by the same broken body, we have all been saved by the same shed blood, we have all been adopted into the same family, by the same Father, and we await the same inheritance to be received at the end of the age. This is why we discourage anyone who is not a believer from taking the bread and the cup, because an unbeliever taking the bread and the cup is announcing something that is not true. He has yet to experience the benefits of the broken body and shed blood of Christ and remains outside the family of God. Paul is speaking to a congregation that is struggling with arrogance, with division, with lovelessness towards one another. He’s telling these people to take communion seriously and to examine their own hearts with an attitude of humble repentance. Why? Because when the unrepentant believer who doesn’t love his brother takes of the bread and cup he too is announcing something that isn’t true. And what he is announcing, whether he realizes it or not is that this shed blood and broken body of Jesus didn’t really reconcile me to my brother…. and that we can be a part of the same family and not be reconciled…and we can go on being unloving towards one another. If you are in a state of unrepentant sin tonight, I urge you to do business with God right now. Pray, seek God’s help and forgiveness, confess your sin to Him. We all struggle with sin, we all stumble and fall down. But do not stay down. Repent and humble yourself before God. And if you are here tonight and you are an unbeliever, you can, right now, enter into the family of God. You don’t have to jump through hoops, sign a card, or raise your hand. All you have to do is receive Jesus. Receiving Jesus means trusting Him to save you from your sins. It means asking Him to change your heart so that you want to go His way instead of your own way. It means trusting in His payment on the cross for your sins instead of trusting in anything else. Oh how I pray you’ll receive Him now, and if you do, you too are welcome to enjoy communion for the very first time as a child of God. most terrible strength and might, all of the twisted and fearsome and terrifying malice of Hell is bearing down at this moment. It is the hour of the forces of darkness. It is their hour. The moment of Hell’s fiercest and most devastating attack is also the moment of Jesus’ greatest glory and triumph. God predicted in Genesis 3:15, thousands of years prior to this dark night, that the serpent would strike the heel of the offspring of the woman, wounding Him terribly. But in the process of such a wicked attack, the serpent’s own head would be crushed and shattered by the mighty foot of the Offspring. 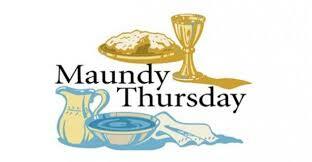 Thursday night is a trying and painful trial and affliction for Jesus and His disciples. It is hard, it is difficult, and it is very dark, and it’s about to get darker. And all the while things are going according to plan. What the forces of darkness mean for evil, God means for great good and great glory, and we will celebrate that tomorrow night during our Good Friday service. Don’t miss it. God bless you. Thank you for coming to worship. Go in peace.